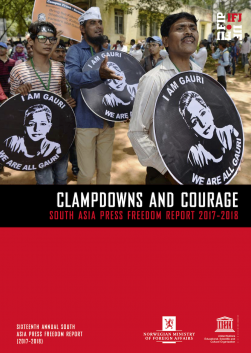 In a letter to the Prime Minister of Bangladesh, Sheikh Hasina, the International Federation of Journalists (IFJ), the South Asia Media Solidarity Network (SAMSN) and several journalist organizations in South Asia demanded an end to the media crackdown that has accompanied protests in Bangladesh this week. 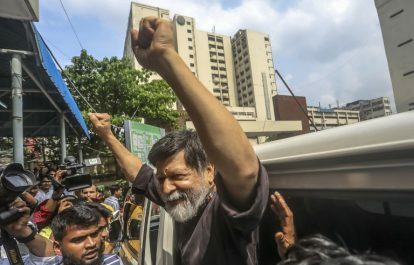 The joint letter to Prime Minister Hasina, called the arrest and detention on Sunday, August 5, of renowned photojournalist Shahidul Alam an attempt to suppress the dissenting and critical voices in Bangladesh; and therefore a misuse of the legal authority. 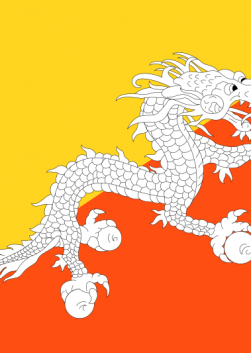 Alam was arrested by police officers in plain clothes who stormed his apartment in Dhanmondi, Dhaka on Sunday, August 5, forcibly detaining and removing him from the apartment. Alam’s arrest followed a ‘live post’ on his Facebook, in which here narrated attacks on protesters in Dhaka. Earlier that day, Alam had also criticized the Bangladeshi government over the treatment of protesters on Al Jazeera TV. On August 6, he was remanded for 7 days. 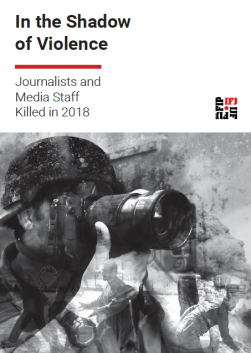 In the letter, the IFJ and SAMSN expressed serious concerns over several attacks on the media covering the students’ demonstrations by masked men on the streets of Dhaka on August 4 and 5. More than a dozen journalists were attacked by unidentified men in helmets carrying sticks and metal rods when they were covering the agitation by thousands of students calling for safer roads. Expressing solidarity with media colleagues in Bangladesh in their struggle for their rights and freedom, the organizations demanded Prime Minister Hasina to immediately and unconditionally release photojournalist Shahidul Alam; mobilize the security agencies to ensure safety and security to journalists; investigate and arrest those responsible for attacks on journalists; and respect press freedom and freedom of expression of the Bangladeshi citizens.